The Missouri GOP has taken a page from the losing Clinton Playbook from the 2016 Presidential Election, in a head scratching maneuver to prematurely anoint Josh Hawley for the United States Senate in the midst of a Primary. Incumbent Claire McCaskill is perceived to be the most vulnerable Democrat incumbent in the 2018 Midterms; and the Missouri GOP seem intent on losing what should be the most easily won election. In the 12-1 vote, the Missouri GOP voted to waive an RNC bylaw that prevents the RNC from funding a candidate during a Primary. The rest of the committee “basically rubber-stamped” the motion to suspend the rule, which was brought by state GOP chair Todd Graves, the brother of Rep. Sam Graves, R-Mo. They pretend like there is no Primary. Hawley has proven he’s an extremely reluctant candidate. He hasn’t put in the work. Congresswoman Ann Wagner, who almost ran for this seat herself, refused to endorse Hawley in the primary when she was asked. He’s burned a lot of bridges. This move by the Republican establishment, to step into the primary and put their thumb on the scales, is all about voter disenfranchisement. Essentially, it’s the same thing the DNC did to Bernie Sanders. So, this is a Hillary Clinton-style tactic, and we saw how that turned out. I think McCaskill is smart, and she knows that she has to go up against a candidate [against whom] she’s got the best chance of winning, which is why I think she wants to run against Josh. Petersen is very much correct that McCaskill wants to run against Hawley. She feels he will be the easiest to beat, who currently trails McCaskill by 6 points. This is the same strategy she used in 2012 against Akin which secured her victory once Akin became the nominee. An article from Politco entitled How I helped Todd Akin Win – So I Could Beat Him Later by Claire McCaskill outlined this winning strategy, which she is repeating with Hawley. The Missouri GOP is attempting to employ Hillary’s losing Democrat strategy against McCaskill’s winning Democrat strategy, which is completely insane. This isn’t a path to victory, because we already know how this plays out. This is instead a statement by the GOP that they would prefer a Democrat establishment candidate to a Republican grassroots candidate like Petersen. The parallels to Hillary don’t stop here, though. 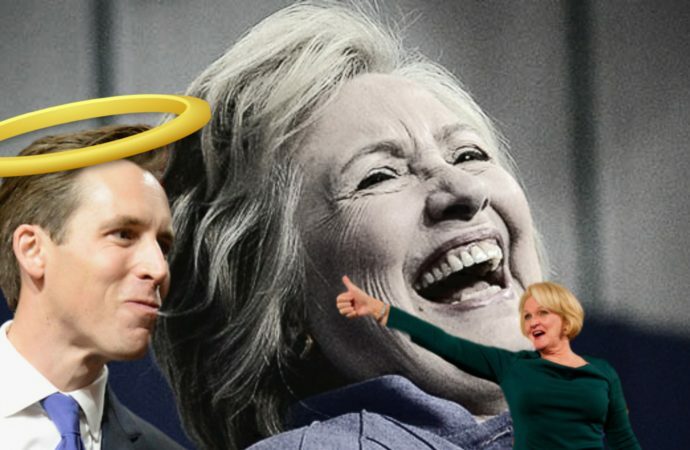 Hawley himself mirrors Hillary Clinton’s Presidential Candidacy in a number of other respects. Clinton’s most fatal mistake was a lack of campaigning. She did not campaign in a number of states she felt she would win anyway, in a strip of states called the Blue Veil which have largely leaned Democrat. She completely ignored these states which were necessary for her to win because she felt they were a given. She lost some of these states to Trump, which were necessary for Trump to be elected. Josh Hawley has largely been absent on the campaign trail himself. Hawley criticized McCaskill for using her private jet while campaigning in Missouri, but Hawley has little room for criticism as he’s hardly campaigning and instead relying on occasional photo ops. Petersen on the other hand has been touring Missouri regularly in his RV to attend events and meet voters. 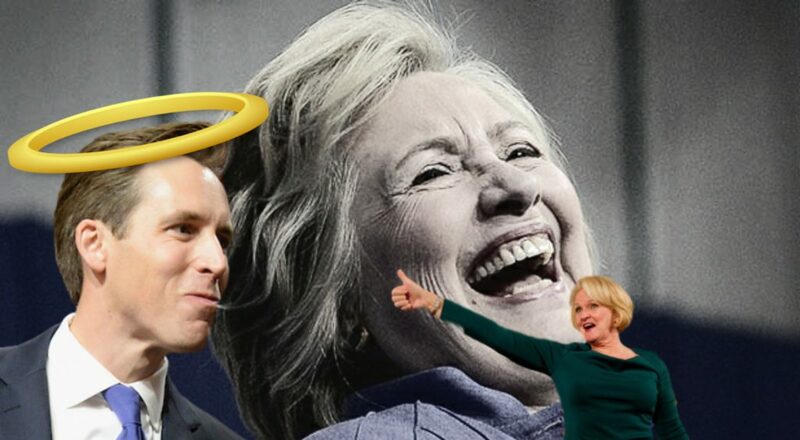 Much like Hillary, we don’t know where Hawley stands. There are no positions or issues on his website. Hillary spoke out of both sides of her mouth and voters never really knew where she stood. Voters don’t know where Hawley stands either. He hardly speaks on the issues, and when he does, we find he has Left positions similar to Hillary in his support of gun restrictions. Petersen has consistently said he has no compromise to offer on your gun rights. Hawley simply believes it’s his turn, and therefor shouldn’t require work, like the people of Missouri owe him votes. This is much the mentality of the Hillary Clinton campaign, who wrongfully believed that her election as President was inevitable. Petersen works for votes, making campaign phone calls himself and by appearing at and hosting events. This election is far too vital as the Senate is in jeopardy of a Democrat majority taking over in the midterms. Every seat counts. Running a failed Democratic strategy against Claire McCaskill is not responsible and could very possibly hinder President Trump by not allowing any legislation to reach his desk. This isn’t the time to lose to the Democrats at their own game. This is the time to win. If Missouri Republicans want to be represented, we must not allow Mitch McConnell to decide this Primary. The only thing that will beat McCaskill’s war chest of fundraising is hard work and tireless campaigning, which Hawley is not doing. The only way Missouri elects a Republican in 2018 is by nominating Austin Petersen.